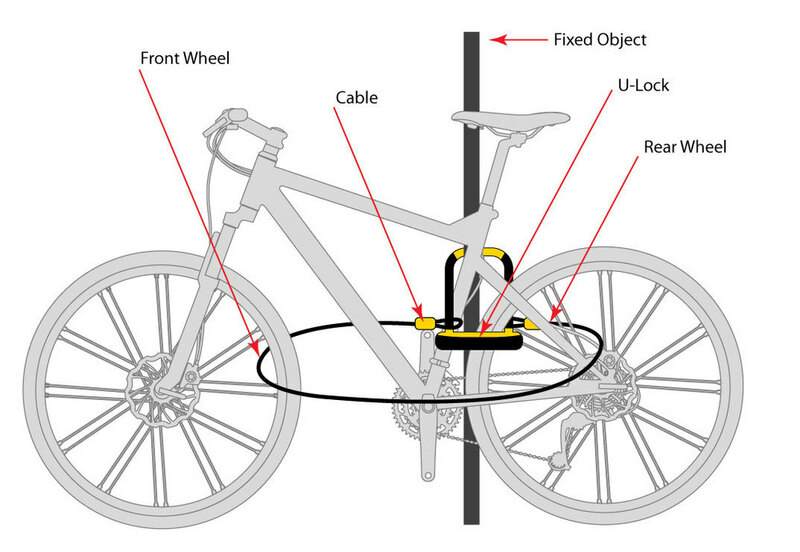 A properly locked bike inhibits theft, serving as a deterrent to the average scumbag looking to lift your ride. OnGuard locks offer ultimate protection and the bright yellow warming graphics tell the thief to move along to the next bike. Our guides below show the best methods for bike and powersports lock-up. Please use common sense and know where you are locking up your bike or equipment to get the best results. A variation of this method is to use a cable lock that does not pass through the Ulock shackle. Front Wheel Removed - coming soon! Double U-Lock - coming soon! Motorcycle / Scooter - coming soon!